Italians and overcooked vegetables: a love story. May I ask you something? Usually this question arises during a cooking class, after the market visit and after my enthusiast praise for seasonal vegetables. Where are the vegetables on the menu at the restaurant? I thought they would have a predominant role in Italy, but they barely serve vegetables during the meal. 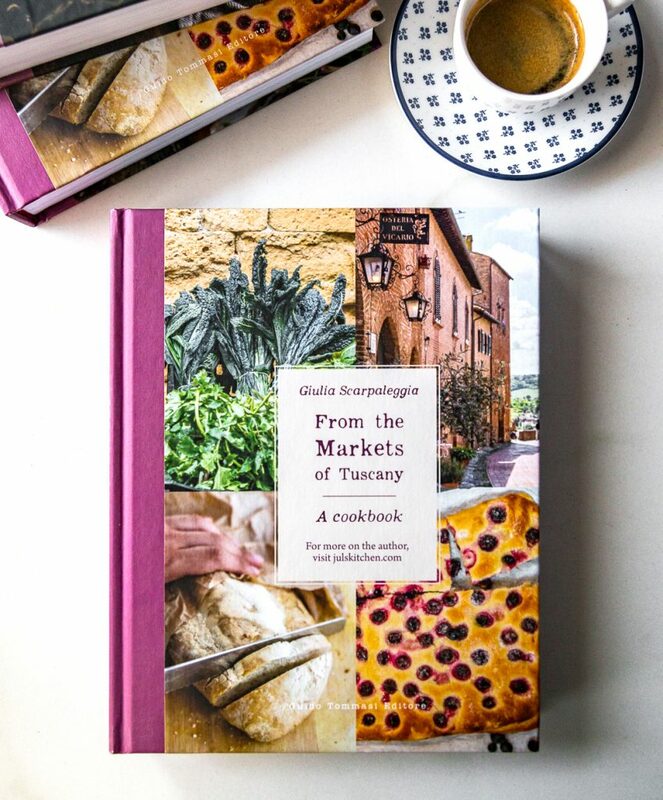 I’ve learnt so much talking with my guests during cooking classes and I’ve opened my eyes on habits that I used to gave for granted but which can be almost upsetting for those visiting Italy for the first time. Vegetables are usually not served along with the main course, you must specifically order them picking one of the side dishes from the contorni menu. 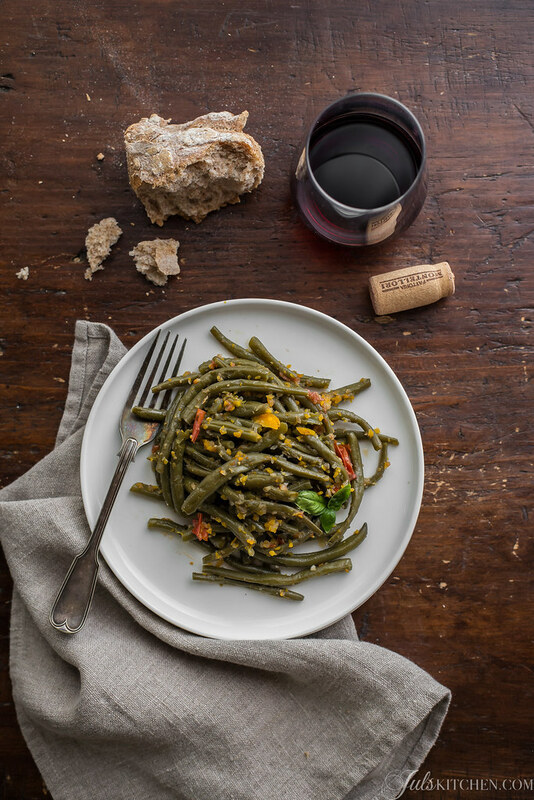 In a Tuscan trattoria you might find fagioli all’olio (beans with olive oil), spinaci saltati (sautéed spinach), insalata verde (green salad, usually lettuce), pomodori (tomatoes), verdure grigliate (grilled vegetables) or patate al forno (roasted potatoes). Those vegetables, for a foreign palate, are generally overcooked. 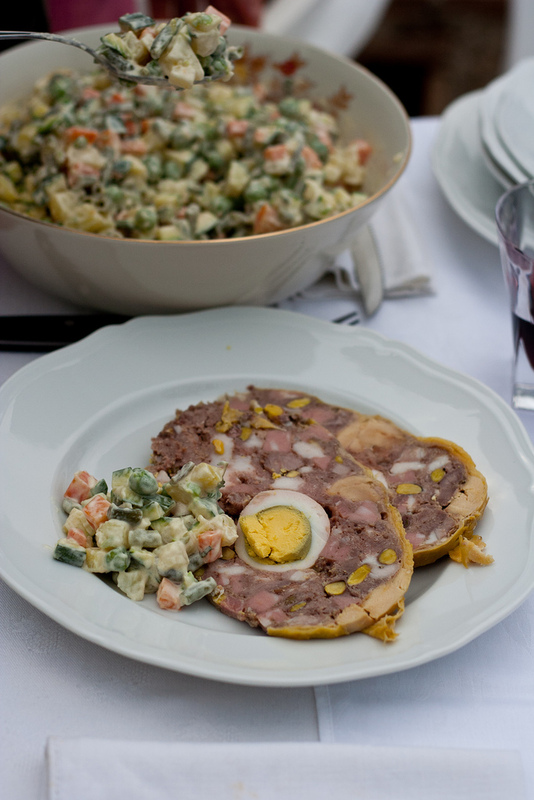 It is not a chef’s mistake nor a reheated side dish of the previous day, it’s a well rooted habit of trattorie and osterie, which traces mamma’s and nonna’s way of cooking. I had to unlearn the automatic approach which would take me to boil broccoli, cauliflower, French beans and spinach until wilted and collapsing. Traveling abroad and reading my favourite food writers, I’ve encountered more than one reason to appreciate first and later fall in love with crisp snappy vegetables. Think at Petersham Nurseries Café in Richmond, where I had a fabulous meal earlier this year: my quail was served with courgettes still al dente and sweet peas. Skye Gyngell’s Spring Restaurant is next on my list, a place I’d love to visit next time I’ll be in England. Our cooking is heartfelt, wholesome, produce driven, and cooked by a team of people who are passionate about what they do and who feel truly privileged to work with beautiful ingredients. How not to be charmed by this description? Take Nigel Slater and his column on the Guardian: vegetables are a key ingredient in almost every dish. They are balanced and perfectly recognizable with texture and character. I am currently craving for his grilled asparagus, lentils and wheat salad, where the asparagus are just tender enough to bend a little. Italy is now finally rediscovering this trend, giving a new leading role to the vegetables in a dish, but do not expect this modern approach in traditional osterie and trattorie. Last week we were in Milan to meet my publisher and we had lunch at Taglio, following Sara‘s advice (by the way, if you are in Milan Sara is THE woman to contact to have an unforgettable food experience). There I discovered the same respect for vegetables I had lately found in London. Today I am here to praise the charm of overcooked vegetables. Not all vegetables give their best when cooked for long time, some get soggy and unpalatable, but take French beans, broccoli or cavolo nero. They give up, surrender to the flame and release a relaxed and intense aroma which can suit pasta dishes, meat and even stand up for itself in a comforting side dish. what a joy to find a recipe that celebrates the well cooked, buttery vegetable. Here you can find some of the recipes that perfectly show Italians’ love for overcooked, floppy, decadent vegetables. Rachel Roddy and a twice-cooked broccoli recipe direct from Rome. Because crisp stir fried broccoli are good, but when the broccoli collapse into a creamy green sauce are just magnificent. Eleonora Baldwin and orecchiette alle cime di rapa. In this case turnip greens are cooked with pasta, in a marriage of love blessed by olive oil and garlic. Take the peppers and their smoky flavour once they are roasted until slightly burnt, then peeled, chopped finely and marinated in olive oil and dried oregano. 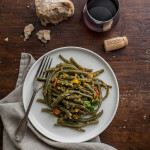 Now please trust me and forget to look at your watch, cook these French beans (or green, string, snap beans) for about an hour, on the lowest flame, with a bunch of other vegetables and some chopped tomatoes. Control your urge to turn off the heat when the beans are barely crisp and grant them a long soothing cooking. Serve them as a side dish accompanied by a piece of crusty bread to mop the juices. They surprise all my guests during cooking classes, let them marvel you, too. Rinse the French beans in water and break off the ends of each bean. Make a battuto: finely chop the onion, celery, and carrot, then scrape it into a large pot. Pour a glug of extra virgin olive oil into the pot, then add the diced pancetta, the French beans, the diced tomatoes and a glass of water. Season with only a few pinches of salt, you'll adjust it at the end. Put the pot on low flame, cover with a lid and cook for about one hour. Remember to stir frequently as French beans do love to burn and stick to the bottom of your pan. Add warm water if needed to finish the cooking. 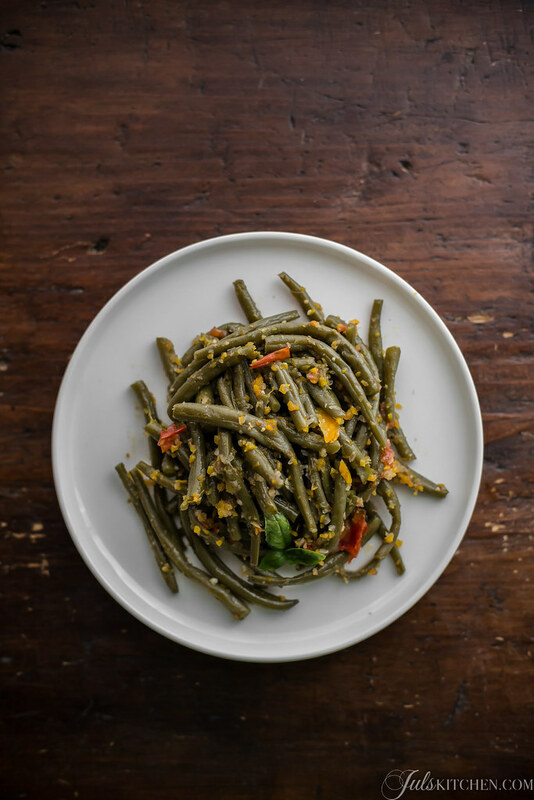 French beans are ready when they are soft, dark green and coated with a crumbly sauce made by the chopped vegetables and pancetta. Season with salt if needed. Serve hot or even warm on a sultry Tuscan summer day. 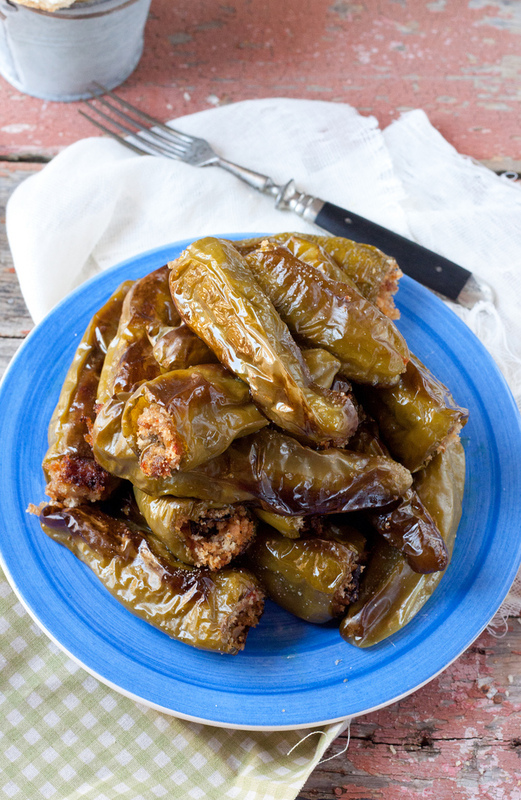 My husband grew up eating his green beans this way and now it’s my fave! Overcooked and soft and stewy. Love it. Thank you Giulia for the mention! hehe… the italian way… the Irish way 😉 Overcooked and mushy and somehow yet really awesome in flavors! Another top article! I used to complain about over-cooked vegetable (I Like my French beans crispy) however you are so right on so many levels. I can’t imagine eating cavolo nero “al dente.” It would be a travesty if those flavors were not allowed to stew. I too have wondered where the veg are on Italian menus but funnily enough learnt why from Jamie’s Italian menu’s! These beans look amazing. I like veg al dente too, but sometimes and especially with beans, long cooked eith herbs can be so full and lovely you just have yo have it. I had this same experience when moving to Italy, discovering a new way that vegetables are cooked and appreciated. I’ve found I like veggies done both ways! Though I do prefer broccoli and cauliflower well-cooked, now (with plenty of olive oil and peperoncino). I really had to adjust to eating vegetables crispy and still bright green. Mamma cooked everything until it was well done 🙂 All of her food was delicious. 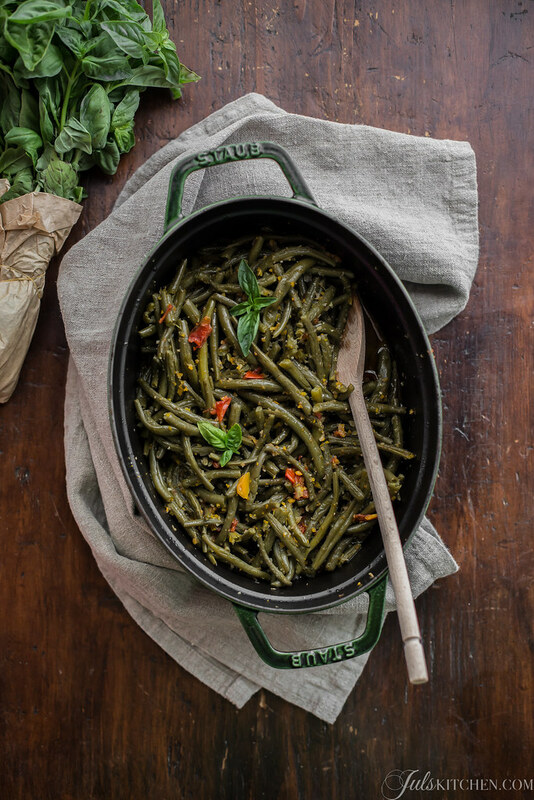 Whenever we would have mamma and papà over for dinner I made sure it was a vegetable that was cooked well done – spinach, green beans. I saved broccoli for just our family. I love this article! It’s important to explain as you did (as always well) since so many travelers wonder about that, especially ones from the states who live in the bastions of farm-to-table like San Francisco, who wholeheartedly look up to Italian food culture and come scratching their heads, looking for those diverse fresh plays with seasonal vegetables. Love your work, Giulia! I equally love overcooked and al dente vegetables, it really depends on my mood and the recipe! I love these beans, they are the way my mother in law cooked them, and are a favourite of my husband. Last night I made Venetian smothered cabbage, and had it with roast chicken. Didn’t need anything else, simply delicious and not at all mushy. thank you Susie! I am also very curious about this Venetian smothered cabbage, sounds divine with a roast chicken! thank you Susie! I’ll have a look!